Summer is truly the season for saisons, a beer style that is synonymous with the sun and thirst-quenching refreshment. Even in the age of craft, walking in to a bar or a bottleshop these days can sometimes feel like Groundhog Day. So if you’ve ever found yourself bored of pales and IPAs, yearning for something easy-drinking but with a bit more complexity than a lager, then a Saison may well be the ideal choice. Essentially a pale ale, saisons tend to showcase yeast character, unlike the malty, hoppy pales of the English/US brewing tradition. However, few things are black and white when you begin delving deeper into this beer style, which is why saisons are as fascinating as they are tasty. Few styles are so steeped in romanticism and ambiguity as saisons; no doubt one of the reasons the style remains so popular among craft brewers and drinkers. You can’t help but be sucked into the sentimentality: Workers sat on bales of hay, gossiping while sipping on a beer, as the sun slowly slips along the horizon. Emotive imagery perfect for inspiring thirst. It’s a beer whose whole essence is focused on instant refreshment after (or during) a long day of toil in the summer heat. One of the few things about this style that is universally accepted is its geographic origin, the French speaking region of Wallonia in Southern Belgium (just below the border, its French counterpart is called ‘biere de garde’). Saisons were originally brewed for farmhands, summer workers called ‘saisonniers’, who would spend their day tirelessly working in the field. Unsurprisingly, Saison literally translates as ‘season’ in English, and this beer is the embodiment of summer. To the workers, slogging away in the heat, it was the reward for their labour. It was very much a beer for the working classes, and the miners of southern Belgium had their own version, the grisette, which was virtually identical to the saison in abv and makeup. The tradition of rewarding workers in this way spanned centuries, surviving revolutions, the fall of empires and world wars. And like all of nature’s greatest survivors, the saison has become adept at adaptation. Originally, saisons were brewed in the early cooler months of the year, so they were ready in time for summer. They had a low abv, thought to be between 3 and 3.5%, so as not to interfere with the work at hand. This percentage has steadily risen through the centuries, and now saisons can range from 3-8%. Initially, brewing methods were rudimentary, with the oak casks and foeders used to store the beer often housed in farmhouses and outbuildings. Because the beers weren’t brewed in purpose–built breweries with temperature control and refrigeration apparatus, brewing earlier in the year minimalised the risk of spoiling the beer in its critical fermentation stage. After-all, saisons are traditionally a ‘wild’ beer, potentially volatile and easily affected for better or worse by the elements, as well as things like natural bacteria. But even Belgium with its quaint, idyllic countryside had to eventually move towards a more industrial economy. As technology progressed, horse-drawn carts of saisonniers no longer lined the tranquil country lanes in the summer months, as tractors and combine harvesters could do the job of 50 workers. From being a popular summer beer style, it became niche very quickly. The agrarian landscape in Europe had changed and with it the saisons purpose. The saison had its real renaissance when craft beer fever gripped the United States. American brewers, respectful and possibly a tad envious of European brewing heritage, decided to put their own mark on the style. Breweries have sprung up all across the country, east coast to west coast and everywhere in between. Some of their most successful are solely dedicated to farmhouse styles, for example Hill Farmstead, Jester King and the aptly named New Belgium. And it makes complete sense; imagine the amount of derelict and unused farmhouses in America. Breweries could grow their own barley and hops a stone’s throw away from their barn and even try cultivating their own yeast strains, just like the Belgian breweries had done centuries before. Saisons undoubtedly appeal to brewers because of their rustic, organic, grassroots methods. Allagash from Maine kept this historic, time-honoured approach with its saison. Its love for the style also inspired it to launch World Saison Day, which is now in its fifth year. Breweries from all over the country come together and celebrate the style. While there is broad acceptance that yeast is the star of the show, the Americans aren’t afraid to dress the classic saison character with a little malt and hops magic. Jester King’s (Austin, Texas) Noble King, uses noble European hops, and three varieties of malt, while Brooklyn Brewery’s Sorachi Ace is simply magnificent. The use of the then lesser-known Japanese Sorachi Ace hop was inspired; like it was tailor-made to be thrown into saisons, adding a herbal, tangy and distinctive lemony edge to the beer. Other breweries have cultivated their own strains of Brettanomyces, giving their saisons a unique barnyard funk. Others fly over yeast cultivated from Belgian strains; San Diego’s Modern Times brewery, in its saison ‘Lomaland’, uses a strain that’s 95% Dupont and 5% Westmalle. As far as pedigree goes for a yeast strain, that’s some pretty good genes. No matter the methods though every brewery in the world can agree one thing: yeast is the key component. 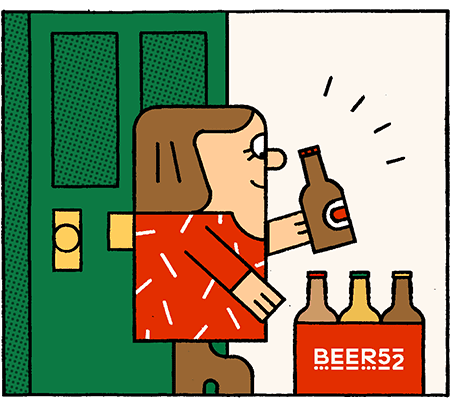 Just like with the IPA, we here in Britain are somewhat indebted to US craft breweries, not because they brew better beers than us, but because they have helped reinvigorate the style, shining a light on the myriad of possibilities that come with the style. Stylistically, the saison has continued to grow and evolve in recent years. 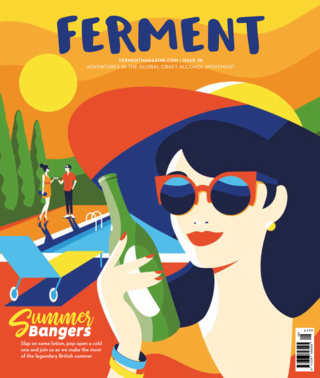 Some breweries have opted for a more sour angle, while others have experimented with blending, dry hopping and barrel ageing. For example, Japan’s Hitachino brewery infused its saison with yuzu and rice koji (traditionally used in sake), resulting in a beer that is as zesty as it is earthy. It’s even called it Saison Du Japon, in homage of the Belgian brewery Brasserie Dupont (for many brewers, the golden standard). But what about here in the UK? Well the saison’s universal popularity and its versatility has not been overlooked. On the contrary, we are going through a saison purple patch at the moment. Based out of Sussex, Burning Sky has been steadily garnering a reputation both here and overseas as the farmhouse masters of the UK brewing scene. Its ‘Saison a La Provision’ is one of my favourite summer beers. Yes, it’s dry and has a peppery spiciness to it but it’s also tart and refreshing. The brewery has also experimented with barrel ageing for longer periods of time; its yearly released ‘Saison Reserve’ is the same beer, but aged for a further two months with a large amount of gooseberries thrown in for good measure. The result is a mouth-puckering, fuller bodied beer that is unapologetically sour. London’s Kernel, well-known for its consistency, has also gone down this more sour route with its saisons. It has produced barrel-aged versions that have included apricots, cherries and damsons. And who can forget Wild Beer, based down in the West Country, the perfect setting for producing farmhouse beers. You’d be hard pressed to find anyone brewing anything funkier than them in the UK at the moment. And with British breweries dedicating themselves to farmhouse styles, like the newly-opened Little Earth Project in Suffolk, it seems like saisons and farmhouse ales are here to stay in our beer scene for years to come. Which, given the standard currently being produced and the level of innovation, is something I’m not going to complain about. The saison is a very different beast to what it was, now representing more of a blanket idea. It encompasses a plethora of flavours and no saison, whether from Sussex, California or New Zealand, is the same, which is great for us drinking them. For brewers, saisons offer flexibility and, to an extent, a blank canvas. A simple malt backbone, as many or as little hops as you want; it’s really all about two things, yeast and time. A reason I believe the style is so popular with brewers, especially in the US, is because the brewing process invokes a certain nostalgia, of having to use ingredients that are at hand, and letting nature do its thing, in its own time. So this summer, put the can of session IPA down and grab a saison.